Forty percent of survey respondents cite the disruption of operations as the biggest consequence of a cyberattack, followed by the compromise of sensitive data (39%), harm to product quality (32%), and harm to human life (22%). Forty-four percent of the 9,500 executives in 122 countries surveyed say they do not have an overall information security strategy. Forty-eight percent do not have an employee security awareness training programme, and 54% don’t have an incident-response process. When cyberattacks occur, most victimised companies say they cannot clearly identify the culprits. Only 39% of survey respondents say they are very confident in their attribution capabilities. Massive cybersecurity breaches have become almost commonplace, regularly grabbing headlines that alarm consumers and leaders. But for all of the attention such incidents have attracted in recent years, many organisations worldwide still struggle to comprehend and manage emerging cyber risks in an increasingly complex digital society. Today, PwC launched its 2018 Global State of Information Security® Survey (GSISS), based on responses of more than 9,500 senior business and technology executives from 122 countries. Executives worldwide acknowledge the increasingly high stakes of cyber insecurity. Forty percent of survey respondents cite the disruption of operations as the biggest consequence of a cyberattack, 39% cite the compromise of sensitive data, 32% cite harm to product quality, and 22% cite harm to human life. Yet despite this awareness, many companies at risk of cyberattacks remain unprepared to deal with them. Forty-four percent say they do not have an overall information security strategy. Forty-eight percent say they do not have an employee security awareness training programme, and 54% say they do not have an incident-response process. Case studies of non-cyber disasters have shown that cascading events often begin with the loss of power—and many systems are impacted instantaneously or within one day, meaning there is generally precious little time to address the initial problem before it cascades. Interdependencies between critical and non-critical networks often go unnoticed until trouble strikes. Many people worldwide—particularly in Japan, the United States, Germany, the United Kingdom and South Korea—are concerned about cyberattacks from other countries. Tools for conducting cyberattacks are proliferating worldwide. Smaller nations are aiming to develop capabilities like those used by larger countries. And the leaking of US National Security Agency (NSA) hacking tools has made highly sophisticated capabilities available to malicious hackers. When cyberattacks occur, most victimized companies say they cannot clearly identify the culprits. Only 39% of survey respondents say they are very confident in their attribution capabilities. The soaring production of insecure internet-of-things (IoT) devices is creating widespread cybersecurity vulnerabilities. Rising threats to data integrity could undermine trusted systems and cause physical harm by damaging critical infrastructure. Meanwhile, there is a wide disparity in cybersecurity preparedness among countries around the world. In our 2018 GSISS, the frequency of organisations possessing an overall cybersecurity strategy is particularly high in Japan (72%), where cyberattacks are seen as the leading national security threat, and Malaysia (74%). In May 2017, G-7 leaders pledged to work together and with other partners to tackle cyberattacks and mitigate their impact on critical infrastructure and society. Two months later, G-20 leaders reiterated the need for cybersecurity and trust in digital technologies. The task ahead is huge. C-suites must lead the charge and boards must be engaged: Senior leaders driving the business must take ownership of building cyber resilience. Setting a top-down strategy to manage cyber and privacy risks across the enterprise is essential. Pursue resilience as a path to rewards—not merely to avoid risk: Achieving greater risk resilience is a pathway to stronger, long-term economic performance. Purposefully collaborate and leverage lessons learned: Industry and government leaders must work across organisational, sectoral and national borders to identify, map, and test cyber-dependency and interconnectivity risks as well as surge resilience and risk-management. "Few business issues permeate almost every aspect of business and commerce like cybersecurity does today," said David Burg, Global Cybersecurity Leader at PwC. "Public-private coordination is critical to effectively addressing cybersecurity." The Global State of Information Security® Survey 2018 is a worldwide study by PwC, CIO and CSO. It was conducted online from April 24, 2017, to May 26, 2017. 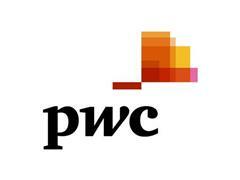 Readers of CIO and CSO and clients of PwC from 122 countries were invited via email to take the survey. The results discussed in this report are based on the responses of more than 9,500 business and IT executives including CEOs, CFOs, CISOs, CIOs, CSOs, vice presidents, and directors of IT and information security from 122 countries. 38% of respondents were from North America, 29% from Europe, 18% from Asia Pacific, 14% from South America, and 1% from the Middle East and Africa. A range of public and private organisations were surveyed: 28% of respondents were from small businesses with under $100m annual revenue, 46% of respondents were from organisations with revenue of $500 million+ and 4% were non-profit, government or education bodies. CIO focuses on attracting the highest concentration of enterprise CIOs and business technology executives with unparalleled peer insight and expertise on business strategy, innovation, and leadership. As organizations grow with digital transformation, CIO provides its readers with key insights on career development, including certifications, hiring practices and skills development. The award-winning CIO portfolio—CIO.com, CIO executive programs, CIO Strategic Marketing Services, CIO Forum on LinkedIn, CIO Executive Council and CIO primary research—provides business technology leaders with analysis and insight on information technology trends and a keen understanding of IT’s role in achieving business goals. The CIO Executive Council is a professional organization of CIOs created to serve as an unbiased and trusted peer advisory group. CIO is published by IDG Communications, Inc. Company information is available at www.idg.com.